Bitcoin, that nebulous digital currency that trades in cyberspace and is “mined” by code-cracking computers, emerged as a better bet this year than every major foreign-exchange trade, stock index and commodity contract. The electronic coin that trades and is regulated like oil and gold surged 79 percent since the start of 2016 to $778, its highest level since early 2014, data compiled by Bloomberg show. That’s four times the gains posted by Russia’s ruble and Brazil’s real, the world’s top two hard currencies. After its 2008 creation, enthusiasts hailed bitcoin as the next big thing in foreign exchange markets and an obvious monetary evolution in an increasingly digital world. But by 2014, its value tumbled 58 percent as governments cracked down on its use and a major exchange lost account-holders’ funds. There are a number of reasons the hard-to-track currency is staging a comeback now, from capital controls in places like China to isolationist rumblings in the U.K. and U.S. as well as, bitcoin supporters say, increased adoption by companies and consumers. 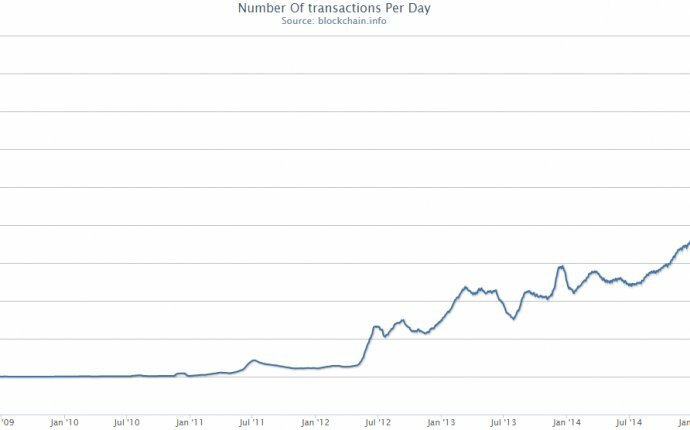 Global restrictions on sovereign currencies are playing a major role in driving increased bitcoin demand. The Chinese government, for example, made it more difficult for people to move the nation’s currency and spend it overseas, leading to trapped liquidity. That’s made bitcoin, which is not controlled by any government or central bank, more attractive. Isolationist policies by some governments to restrict remittances are pushing consumers into bitcoin as well. U.S. President-elect Donald Trump said during his campaign that he’d limit or halt remittances to Mexico until the Latin American nation agrees to pay for a border wall between the two countries. The explosion of bitcoin supply growth is slowing, with so-called miners getting fewer electronic coins in exchange for letting the network use their computing power. The payment to owners of the computers that verify bitcoin transactions and record them in a public ledger known as the blockchain fell by half in the middle of this year. More consumers are using bitcoins and more companies are accepting it as a means of payment. The use of bitcoins by investors and online shoppers is growing at a steady clip, with more than 1.1 million accounts known as wallets added in the third quarter, even with the second quarter and compared with 1.2 million a year earlier, CoinDesk says. India and Venezuela banned their largest-circulating bank bills in a bid to make it harder to pay bribes and buy contraband in cash. Governments all over the world are boosting reporting standards of assets abroad and allocating more resources to figuring out how and where illegal cash moves around. It’s part of efforts to combat terrorism financing and corruption following graft scandals from Europe to Brazil. That’s boosting demand from people who want to receive and send cash without all the oversight. Going into 2017, miner Marco Krohn sees more of the same. Many of the factors that drove bitcoin up this year will continue. “My personal expectation is that bitcoin will at least gain another 100 percent, ” said Krohn, chief financial officer of Hong Kong-based Genesis Mining, which deploys server farms to mine the currency.